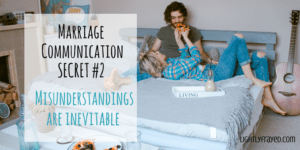 Anyone who has been married for more than a minute knows that communication in marriage can be challenging. Especially when children arrive and sentences are interrupted, paused and forgotten. When parenting with all hands on deck replaces holding hands. Carving out precious time as a couple can feel nearly impossible, especially in the intense stage of having small children. Or teenagers who stay up later than you do. After twenty years of marriage my husband and I are still learning this important tip. When we are intentional, our homes can be havens of lightness. But I’m beginning to realize levity requires practice. Rather than react, or overreact, to a situation, a tiny bit of humour can redeem a moment. Perhaps a cheeky text sent if your husband is questioning your choice in a purchase? Or follow your kids’ lead, if you happen to be raising a comedian. 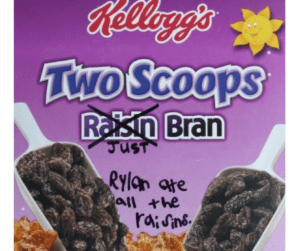 See the humour, not the bran. And to break a rut of seriousness we may need to surround ourselves with people who can model lightening up for our families. someone who can model the skills and attributes you need in your journey. To this end, we have begun stalking a family at our church who exudes joy. Their boys are a few years older than ours and every time we see them all together, someone is cracking up. So, of course, we had to wrangle an invitation to their house to find out their secret recipe. Pure and simple – they love to be together and they have no trouble lightening up. Here’s what “lightening up” looked like in our marriage a few years ago. After a chaotic night of putting children to bed, I looked at Marc and sighed, “We have a lot of kids.” I’m profound when I’m exhausted. Sometimes our brood feels very manageable. Like yesterday from 4:17-4:20. I rocked that. Yet other times collection of boys feels more like a bulk order from the stork. For example, consider nail clipping. I am personally responsible for trimming 80 nails on a semi-regular basis. Actually, only 70, as one of the boys is a proficient fingernail biter. If he were a bit more flexible, he would bite his toenails and I could get it down to an even 60. In the midst of our chaos, Marc and I are working on speaking clearly with each other. Instead of sulking or eye rolling, we are learning to say what we mean. We are also trying to lighten up. On this particular day, my ever evolving husband looked up at me, clearly stressed after wrestling the baby into a diaper and jammies. He could tell that I wanted to chat about how three kids can feel like a lot. He, on the other hand, did not want to. When we are tightly wound, I know that we probably don’t want someone to suggest a more appropriate word or correct our grammar. But come on. “Maybe both,” he said, with a slight smile. Humour has been a lifeline in our marriage. Especially when life is weighty and weary. Sip coffee and click for more reflections on marriage. If nothing else, you will learn what not to do through my frayed wife-ness. Sometimes just Frayed. Sometimes Lightly Frayed. Welcome. 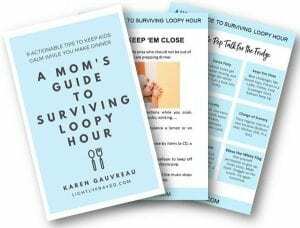 Thanks, Karen, I needed to read this, especially after we had a home reno disaster on the weekend, which I didn’t handle well…no one was laughing…and I’m about to tackle a French project with eldest daughter…and my French is horrible! I’ll have to be a bit more mindful to bring levity in the home! Just as long as you don’t assume the author of this post has a home filled with laughter and levity at all times. I’m sure there is a reason Marc and I have never tackled a reno together. 😉 I wrote this for myself just as much as for anyone else. Thank you for reminding me that there are people out in the world who are responsible for clipping more nails that I am…However, perhaps it’s off-set by the fact my daughter likes hers painted as well? Oh yes – you get bonus points for painting nails. I got boys for a reason – I have never even owned a bottle of polish. 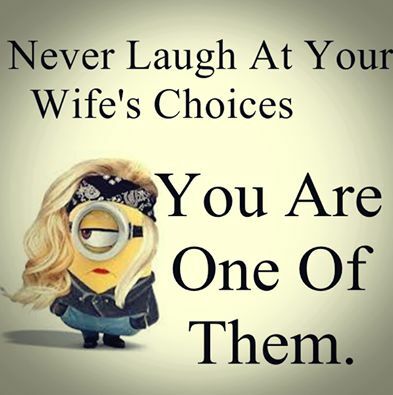 Hi Karen. 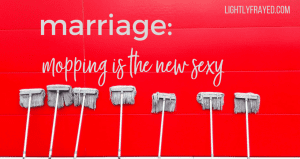 Thanks for a wonderful, insightful and humorous post about the importance of keeping our marriages intact and connected while trying to raise kids, juggle careers and keep ourselves sane. As marriage coaches, we often see couples who have lost track of each other in the midst of all the busyness life brings. I especially love your encouragement to couples to find a slightly older and wiser mentor couple to connect with. This is immeasurably beneficial for couples. Oh, how we wish every couple would do this! 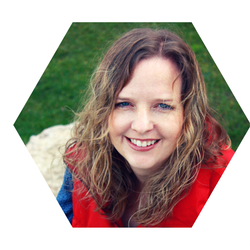 Keep writing – I love to read your blogs! Thanks for the reminder! You are spot on. My hubby and I had a laugh this morning over his used of the “word” simple-ized. It was a good chuckle to break up a fairly serious conversation. I’m still learning to laugh a little more, but when I do, it makes things so much better. Love when we can bring levity to a more serious moment. And I think simple-ize should really be a word! Omg, this is such a good reminder. My husband only have 1 (for now) child but our first parenting year was tough. I think it helped us to look back and talk about how rough it was and move on. Flirting like when we were first dating is our way to lighten up. That and watching Tim Hawkins gets me every time. I swear, I can’t help but scream laughing every time I watch him. Thank you for this. As a mother of two boys under 3 I completely needed to read this today. It is a great reminder that life should be fun and enjoyable. The stresses of constant needs of young children can be very demanding and sometimes it’s hard to remember to lighten up. If you had watched me interact with my boys yesterday, you would know that I need these reminders for myself constantly. Just breathe, right? Chase the joy. 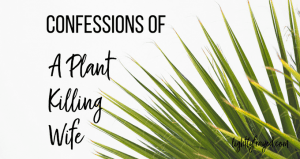 You are in the intense stage of parenting where it can be the most difficult (thankfully the kids are darn cute and funny at this stage too though). You are so right, Dana. 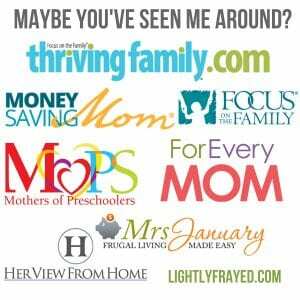 I think as women we struggle with this the most – wearing our Mom hats so fully and tucking our Wife hats away for when we have a quiet moment to focus on our husbands. Having your first baby is such a time of transition for the whole family unit, isn’t it? 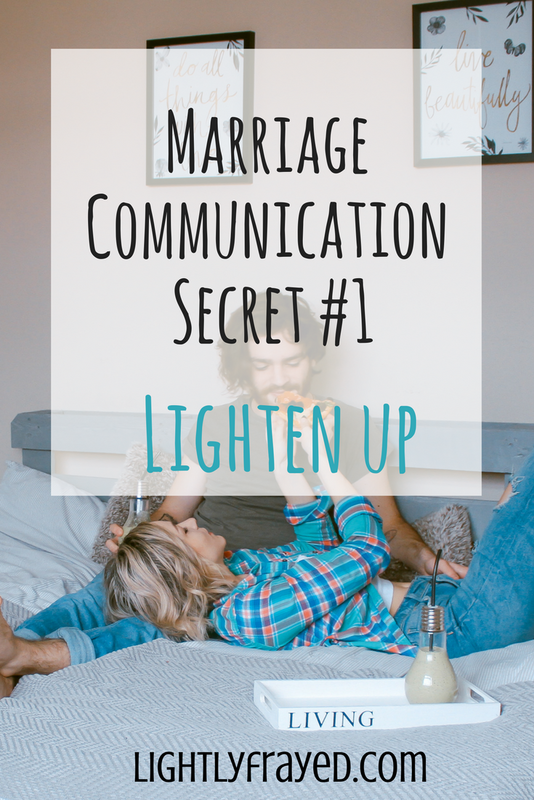 There is nothing like a shared laugh to keep us connected as spouses, no matter the day. And of course Tim’s version of romance is always a win!